School starts Aug. 22 in St. Charles. Drivers, please remember to watch out for children standing at bus stops, or walking or riding a bike to school--especially during morning rush hour. 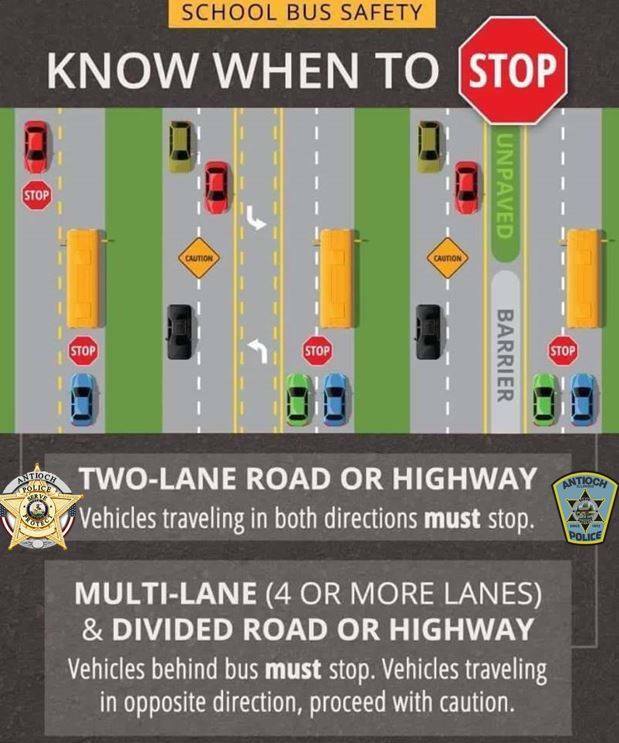 This helpful graphic from the Village of Antioch Police Department reminds drivers about stopping for a school bus with lights flashing and stop arm extended. Also remember it is illegal to text while driving or talk on a hand-held cell phone.